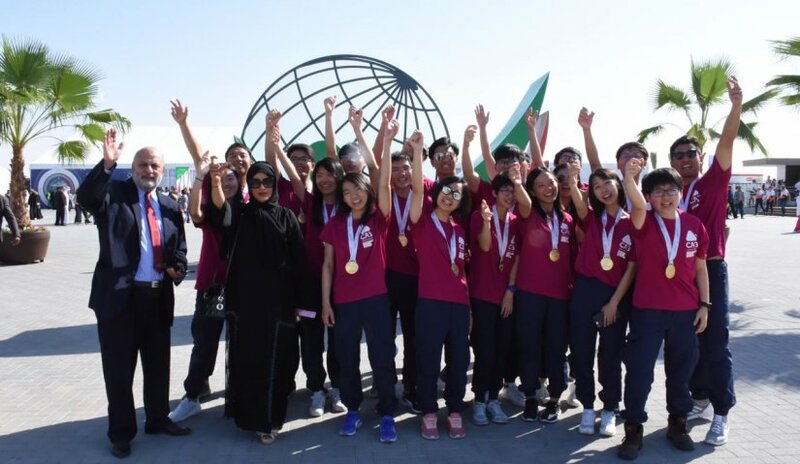 Under the patronage of His Highness Sheikh Hamdan bin Mohammed bin Rashid Al Maktoum, Crown Prince of Dubai and Chairman of Dubai Executive Council, Al Falah University students visited the Solar Decathlon Middle East (SDME 2018), an initiative that encourages university students to design and build solar powered houses. SDME 2018 is organized by the Dubai Electricity and Water Authority. In attendance during the opening ceremony was H.H. Sheikh Ahmed bin Saeed Al Maktoum, Chairman of the Dubai Supreme Council of Energy. AFU students led by Instructor Mr. Wadie Abboud, toured the sustainable homes designed and built by 15 teams representing 28 universities from 11 countries around the world.